Dry Creek Turquoise Cuff and Link Bracelets by Native American Navajo Silver Jewelry Artisans. Exquisite Link Bracelets, multi-stone Cuff Bracelets and rare large single stone Cuff Bracelets! 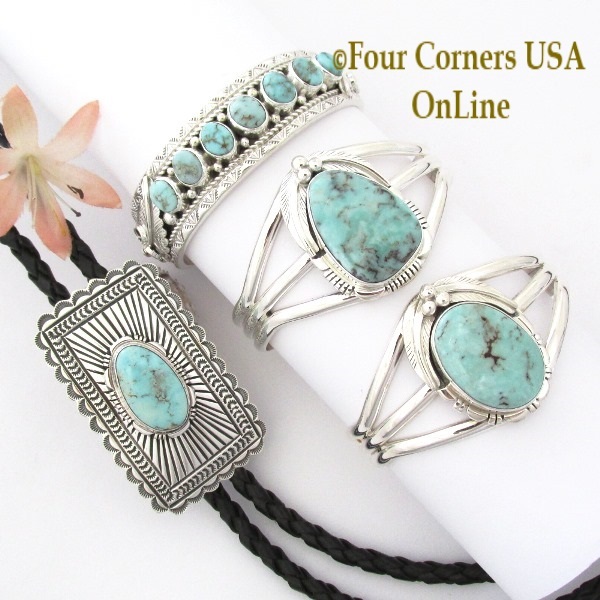 Gorgeous variety of exceptional quality Dry Creek Turquoise stones designed by seasoned Navajo Jewelers Thomas Francisco, Jereme Delgarito, Shirley Henry, Jane Francisco and Bonnie Sandoval. 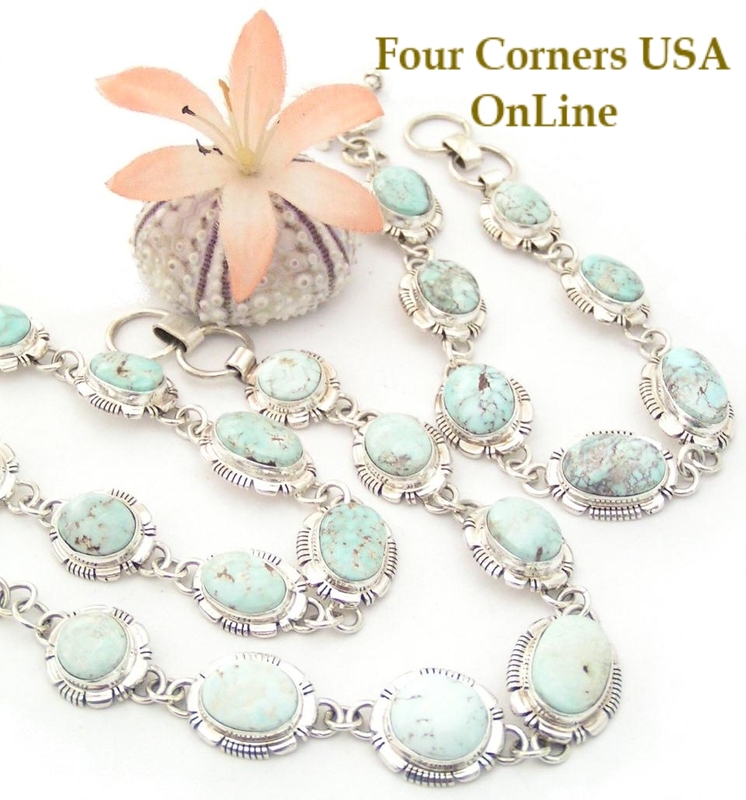 Extraordinary quality Dry Creek Turquoise Link Bracelets boasting seven beautiful Dry Creek Turquoise Stones in Traditional Sterling Settings as well as Contemporary Silver Settings.